Jonathan E. Clark is an associate in the Labor and Employment Practice Group in the firm's Dallas office. Jonathan knows that no two cases are the same and that the key to effective representation is found through personal commitment and business insight into each matter he handles. Jonathan believes that the best way to accomplish this is with a deep and thorough understanding of the facts and circumstances surrounding each client’s case, and of the impact the case can have on the client’s overall business performance and goals. This approach allows him to craft effective strategies throughout the litigation process that meet each client’s needs. His experience and insight related to complex commercial and labor and employment litigation can provide value to clients involved in any stage of the litigation process, including case management, complex discovery, motion practice, depositions, hearings, and trials. Jonathan has litigated on behalf of employers in both state and federal court, and in jurisdictions across the country. His representation has included both single-plaintiff and class-action cases. Additionally, Jonathan understands the value of alternative dispute resolution; and has achieved positive results for clients in mediation and arbitration proceedings. Moreover, he knows that very often, the best client results come from preventing litigation altogether. 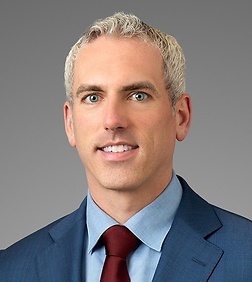 With this in mind, Jonathan often counsels employers in such crucial areas as employee-handbook development and workplace policies and procedures, and he has overseen highly-sensitive internal workplace investigations. Along with counseling and litigating on behalf of clients with labor and employment needs, Jonathan has substantial experience in business and commercial litigation matters. In these cases, Jonathan has achieved successful outcomes for clients seeking to enforce contracts, protect confidential business information and trade secrets, enforce fiduciary obligations, and minimize company liability. Importantly, Jonathan’s deep understanding of how complex commercial cases proceed allows him to provide counsel to clients in the areas of document collection and preservation and electronic discovery; which can result in more accurate litigation budgeting, and can limit unnecessary and avoidable discovery-related litigation costs. And when a resolution is reached, Jonathan understands the absolute necessity of drafting iron-clad settlement agreements that protect each clients’ interests moving forward in the months and years after litigation has ended.